PETER has conducted litigation in the NSW Supreme, District and Local Courts as well as before the Administrative Decisions Tribunal, Consumer Trader & Tenancy Tribunal (Home Building Division) and Industrial Tribunals. As a country practitioner Peter is also highly experienced in preparing Wills and advising on Will disputes. His practice includes estate planning, probate applications and applications for administration when there is no Will. 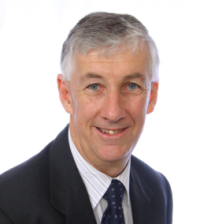 Peter is also experienced in alternative dispute resolution procedures of mediation and conciliation he always focuses on the needs of his clients delivering a high level of expertise to achieve the best possible outcome. Subdivision work including drafting of developments covenants, strata development, advising on easements, restrictive covenants and rights of way. He is also very experienced in civil litigation including family provision and estate claims, personal injury claims, debt recovery, commercial disputes and building disputes.